Pest plants and animals are a serious threat to our region’s economic, social and environmental sustainability. They adversely affect the healthy function of ecosystems, reduce primary industry productivity and proﬁtability, and can have signiﬁcant impacts on a raft of social, recreational and health values. In contrast to the enormous costs of pest plants and animals, the resources available for their management are limited. Collaboration and alignment of effort are key to ensuring that we maximise the value of those resources. In 2008, NQ Dry Tropics facilitated a process that brought together a number of the regional players in pest management; including infrastructure managers, and local and state government. 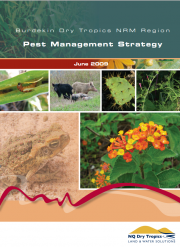 An early product of that process was the Burdekin region’s ﬁrst Regional Pest Management Strategy. Since then, NQ Dry Tropics has continued to provide support and stewardship to both the Strategy and the Regional Pest Management Group. The Regional Pest Management Group has remained committed to a regional process that is both strategic and collaborative. As part of that ongoing commitment, the Group, with support from NQ Dry Tropics, has updated the Regional Pest Management Strategy. 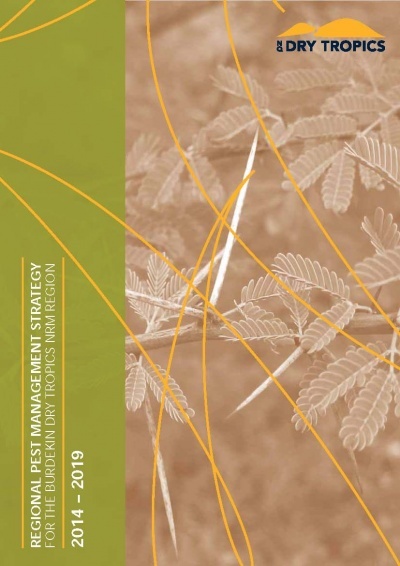 This revised Strategy (2014 – 2019) continues to reﬁne the region’s pest plant and animal priorities and the efforts required to effectively manage them. Recognising that any strategy needs to quickly adapt to emerging priorities and opportunities, this document is being developed and maintained within a web based environment. Pest plants and animal issues do not exist in isolation from broader land and water management considerations. NQ Dry Tropics has commenced a process that will see the development of a revised Natural Resource Management Plan for the region. Through this process, this Regional Pest Management Strategy will be linked to broader land and water management goals and activities. 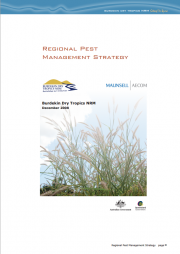 NQ Dry Tropics is proud of what has been achieved by the Regional Pest Management Group. But the task of delivering against the Strategy goes beyond the Group and requires broad support from other organisations, agencies and community groups. Therefore, NQ Dry Tropics extends an invitation to anyone interested in exploring how they might support this Strategy to contact our Regional Pest Management Group.